With the first wave of Irish immigrants entering America in the 1700s, prior to the onset of the Great Irish Potato Famine of 1845-1852, many brought with them their culinary traditions of eating fish and shellfish of their home country. 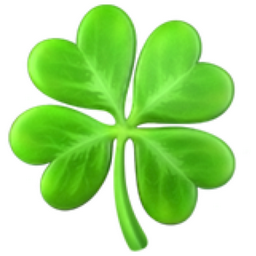 The vast majority Irish immigrants were Roman Catholic. And like most Catholics today, they followed religious dietary customs around holidays, one of which was to abstain from eating meat during Lent and on Christmas Eve and fish was the protein of choice. In Ireland, the Christmas Eve meal revolved around a fish called the ling where home cooks made a simple stew using dried ling, milk, butter and black pepper. However, Irish cooks could not find dried ling in America and out of necessity, they adapted to using oysters because they were similar to dried ling. Today, many families enjoy serving a most satisfying dish of Oyster Stew as part of their religious customs. Oyster stew can be enjoyed any time of the year and the most important factors in preparing oyster stew is not allow the milk to boil and do not overcook the oysters. Be careful to avoid overcooking oysters, which causes them to become tough. Drain the oysters using a very fine strainer to remove and reserve the liquor. Set aside. In 6 quart Dutch oven, melt about 5 tablespoons of butter over medium high heat. Reduce the heat and add the onion, celery and salt. Cook slowly, until onions are translucent and the celery is softened, for 2 to 3 minutes. Sprinkle in the flour, stirring well to blend, cooking for 2 minutes. Whisk in the milk, heavy cream and reserved oyster liquor. Add the cayenne pepper. Reduce the heat to a light simmer, stirring often to prevent scorching, for 3 minutes. Remove from the heat and set aside. Heat a large cast iron skillet over medium heat, melt the remaining butter. Add the oysters in a single layer, being careful not the crowd them. Sprinkle a little salt and pepper and sauté until the edges of the oysters begin to curl, slightly revealing the gills. Add the oysters to the Dutch oven and return to a gentle simmer to warm the stew through. Taste the stew and adjust the seasoning with salt and pepper. To serve, ladle the stew into shallow soup bowls. Garnish with chives and serve with oyster crackers. Photo Credit: Umami Girl, 2019. For a change of pace this St. Patrick’s Day, take a chance and try these savory waffles with cheddar made with Mr. Crumb Sage and Onion Stuffing™ . This dish works equally well for breakfast, brunch or dinner. Top with a fried egg and a dollop of sour cream and serve with a side of bacon and grilled tomatoes for a truly excellent meal. Preheat a waffle iron to a medium setting. Place the stuffing in a large bowl, gently breaking up any large lumps. Add the egg and stir to combine, making sure that all of the stuffing is evenly moistened. Stir in the cheese and add parsley, thyme and salt and pepper to taste. Divide the stuffing mix into six equal portions and shape each one into a patty about 1-inch thick. Using vegetable spray, lightly grease the waffle iron. Add the patty to the waffle iron and cook for 2-3 minutes until crisp and golden. Transfer to a plate lined with kitchen paper and cover with foil to keep warm. Repeat with the remaining patties. Heat a large cast iron skillet on medium high heat. Add the butter. When the butter has melted and the skillet is hot, fry the eggs until cooked to your liking. 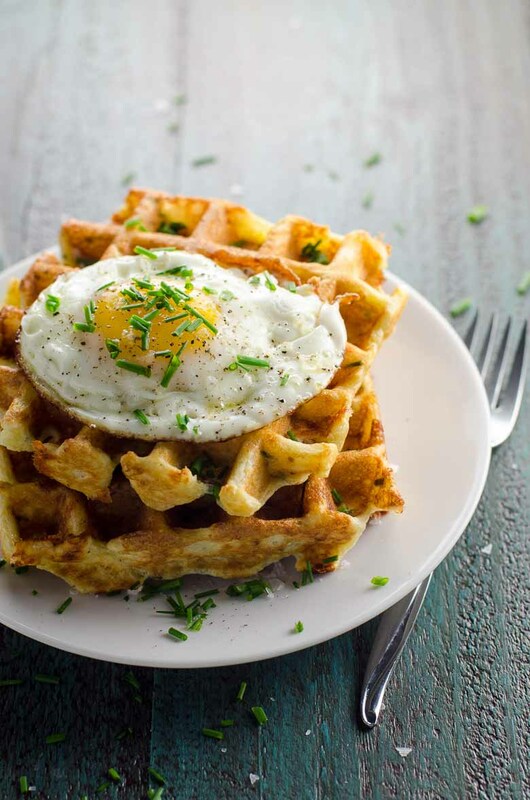 To serve, place a waffled on a plate and top with an egg and season with salt and black pepper. Serve with crispy bacon, fried mushrooms grilled tomatoes or sautéed spinach, if desired. Mr. Crumb Gourmet Stuffing is a product of Ireland and is cooked by hand in small batches by sautéing onions, herbs and spices in pure Irish Butter (made with milk from grass fed cows) before mixing in fresh breadcrumb. The product is available in the United States at Safeway and Albertson Supermarkets.